Netflix is known to be the best platform for online movies, documentaries and tv series. Netflix have acquired the international broadcasting rights of this hidden gem for 190 countries. 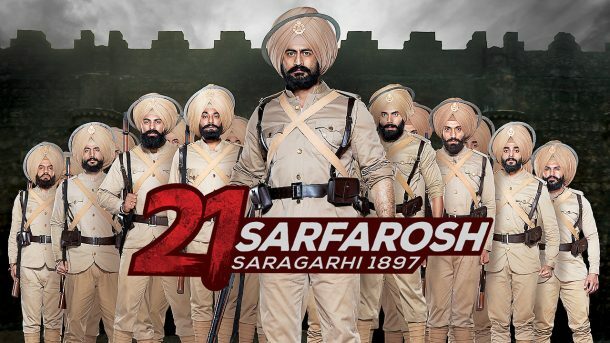 The hidden gem we are referring to is a tv series based on a true story which took place during September 1897 called ’21 SARFAROSH – Saragarhi 1897′. A chronicle story about 21 Sikh soldiers from the 36thSikh Regiment of the British Indian army, who fought against 10,000 Orakzai and Afridi tribesmen, in order to defend their outpost. The show is only one season but has a whopping 65 episodes (19-22 minutes long) which truly keeps you gripped from the get go! 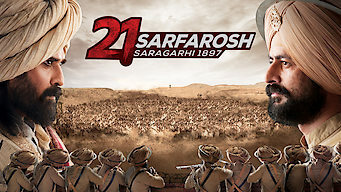 We feel it is a MUST WATCH as it shows the events that led to the last stand of the 21 brave Sikhs. This was created by Abhimanyu Singh and credit to Abhimanyu Singh for making this epic story into a tv series. In a generation where we are glued to technology it only seems fit that this is one of the best ways of teaching the younger generation of Sikh history. The picture above shows two prominent characters in the tv series. On the right-hand side is a Sergeant called Ishar Singh and on the left-hand side is a tribal Afghan leader named Gul Badshah. There are 3 important posts/forts which are referenced a lot in the tv series- Saragarhi, Lockhart and Gulistan which were all situated in Samana (a mountain range). The Sikh regiment were led by its commander, Lt Col John Haughton, who occupied the Samana posts. The two main forts of Lockhart and Gulistan were placed on vital ground; other smaller ‘picquet’ posts were built nearby. 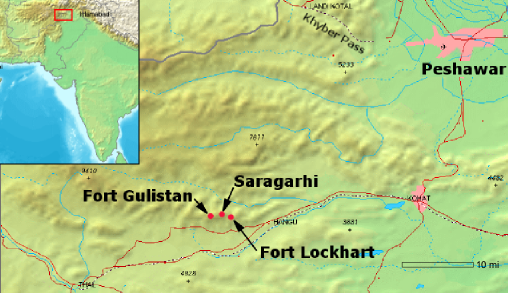 Saragarhi was the most important of the picquet because of its heliographic signal communications between the two forts. The heliograph became a necessary means of sending Morse code on the frontier. 168 soldiers were at Lockhart under Lt Col John Haughton. 175 rifles were at Gulistan under Major Charles Des Voeux. 21 Soldiers at Sartop and Saragarhi and a camp follower named Dadh who cleaned and cooked for the regiment. These soldiers fought to the bitter end which cemented their reputation as brave and devoted to their duty. The soldiers were recognized by the British. All 21 Sikh soldiers, plus Dadh were awarded with the Indian Order of Merit. The 21 Sikhs had made a valiant last stand, and the enemy had paid a high price for their victory, with around 600 dead. The sepoys embraced death when it was there time to go as they stood by the honour of patriotism.